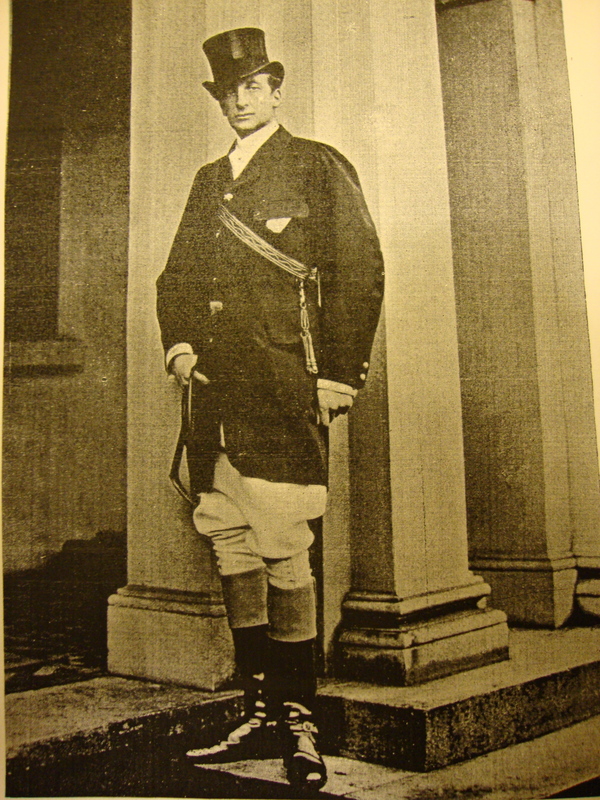 Somerville and Ross are near and dear to every book-loving foxhunter’s heart, and tonight we’ve selected an especially thrilling passage from Experiences of an Irish R. M., published in 1899, in which the title character goes out on his first day of hunting–a cubhunting day in October, as it happens. “Sorcerer got his hind legs under him, and hardened his crest against the bit, as we all hustled along the drive after the flying figure of my wife. I knew very little about horses, but I realized that even with the hounds tumbling hysterically out of the covert, and the Cockatoo kicking the gravel into his face, Sorcerer comported himself with the manners of the best society. Up a side road I saw Flurry Knox opening half of a gate and cramming through it; in a moment we also had crammed through, and the turf of a pasture field was under our feet. 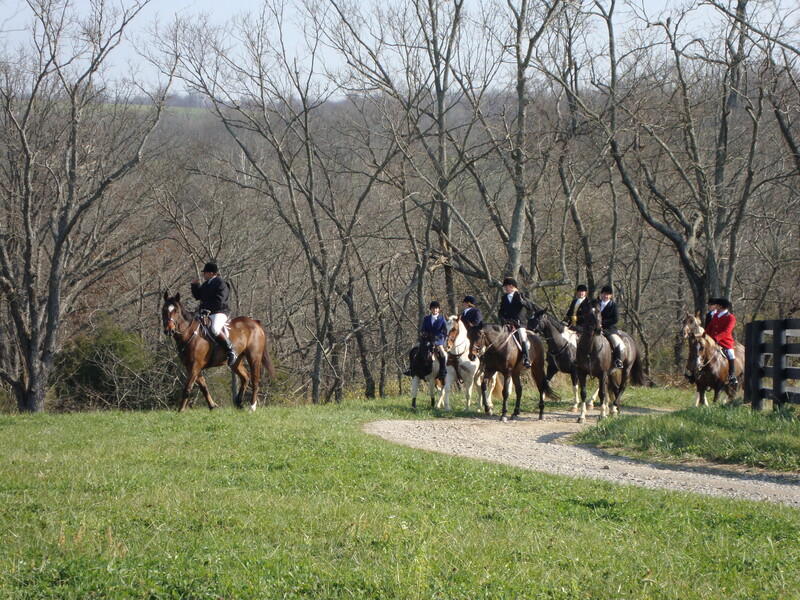 Dr. Hickey leaned forward and took hold of his horse; I did likewise, with the trifling difference that my horse took hold of me, and I steered for Flurry Knox with single-hearted purpose, the hounds, already a field ahead, being merely an exciting and noisy accompaniment of this endeavour. A heavy stone wall was the first occurrence of note. Flurry chose a place where the top was loose, and his clumsy-looking brown mare changed feet on the rattling stones like a fairy. Sorcerer came at it, tense and collected as a bow at full stretch, and sailed steeply into the air; I saw the wall far beneath me, with an unsuspected ditch on the far side, and I felt my hat following me at the full stretch of its guard as we swept over it, then, with a long slant, we descended to earth some sixteen feet from where we had left it, and I was possessor of the gratifying fact that I had achieved a good-sized ‘fly,’ and had not perceptibly moved in my saddle. Subsequent disillusioning experience has taught me that but few horses jump like Sorcerer, so gallantly, so sympathetically, and with such supreme mastery of the subject; but nonetheless the enthusiasm he imparted to me has never been extinguished, and that October morning ride revealed to me the unsuspected intoxication of fox-hunting. 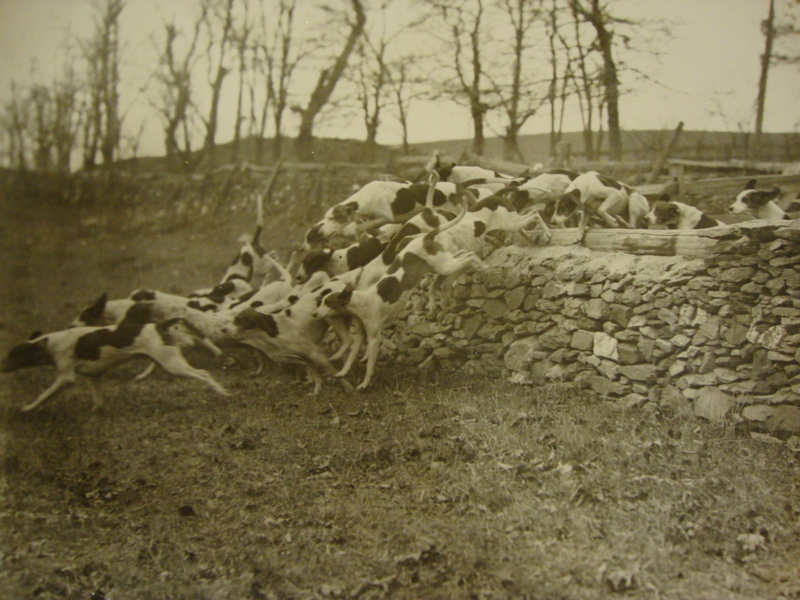 “Up the road a hound gave a yelp of discovery, and flung himslef over a stile into the fields; the rest of the pack went squealing and jostling after him, and I followed Flurry over one of those infinitely varied erections, pleasantly termed ‘gaps’ in Ireland. On this occasion the gap was made of three razor-edged slabs of slate leaning against an iron bar, and Sorcerer conveyed to me his thorough knowledge of the matter by a lift of his hindquarters that made me feel as if I were being skilfully kicked downstairs. To what extent I looked it, I cannot say, nor providentially can Philippa, as she had already started. I only know that undeserved good luck restored me to my stirrup before Sorcerer got away with me in the next field. 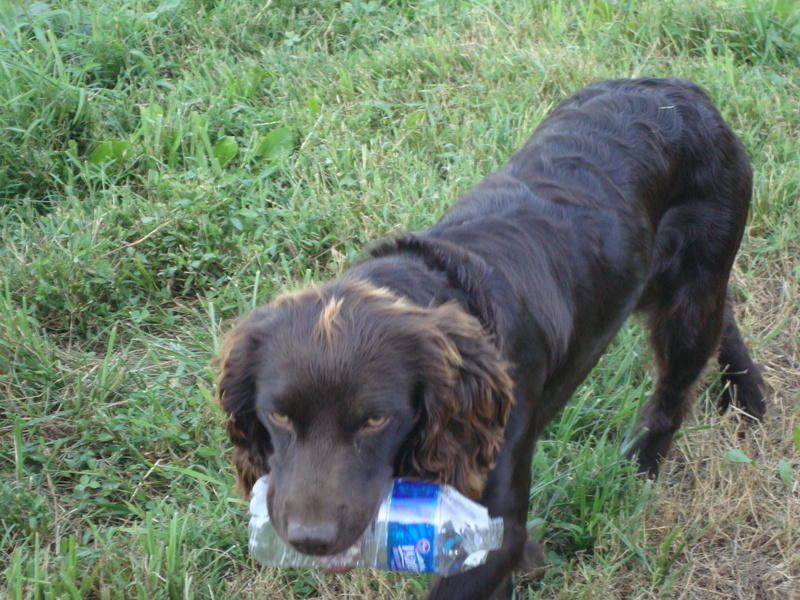 The houndbloggers have been overtaken by fall events, starting with the Keeneland September sale and planning for a Champagne reception at the Iroquois kennels (which we were unable to attend but hear was a success–when is Veuve Clicquot not a success? ), and then heading back to Wiltshire. 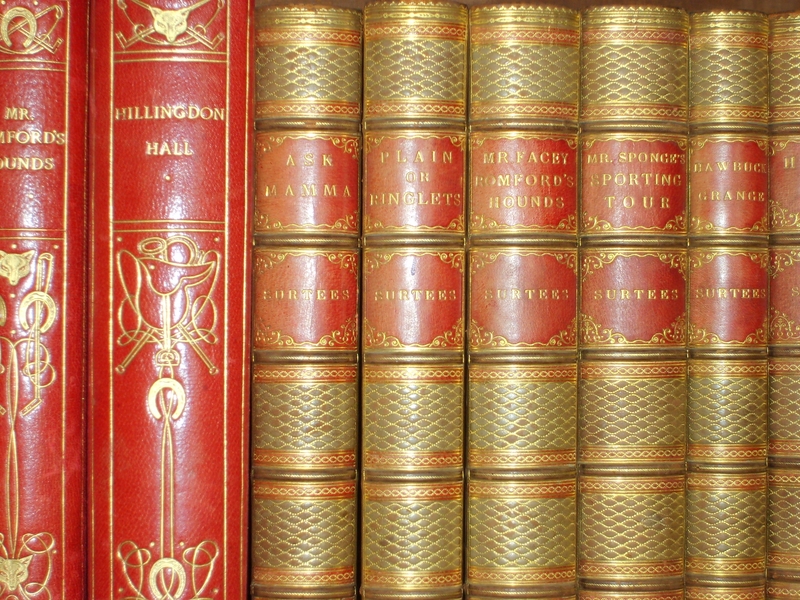 It seems like a long time since we’ve seen the hounds, sadly, but we have at least been able to keep in touch with hounds in news and literature while in England. Hector has been working in the Sussex Police Dog Unit for four years now alongside PC Steve Williams, and he is the only bloodhound currently employed for “scent-discrimination work,” according to Country Life. When he’s not on the job, he’s at home with Williams. When he is on the job, he sounds pretty amazing. If you’re thinking that the alcoholic fumes should have tipped everyone off, including Hector, remember that vodka has no odor. Not surprisingly, while in England the houndbloggers have spent much of their time in bookstores. Never flick at a hound with your whip. Remember that your hunt has not bought a monopoly of the roads and lanes. Remember that the hunt only crosses the farmers’ land by their courtesy. Remember that you are not the only person out hunting. Obey the Master’s wishes immediately and implicitly. 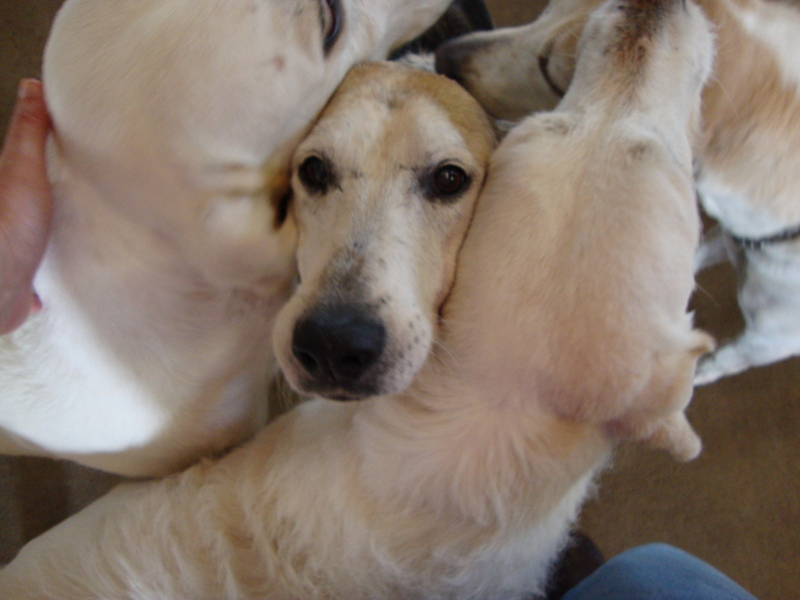 When hounds are drawing, keep behind and as close to the field master as you can get. 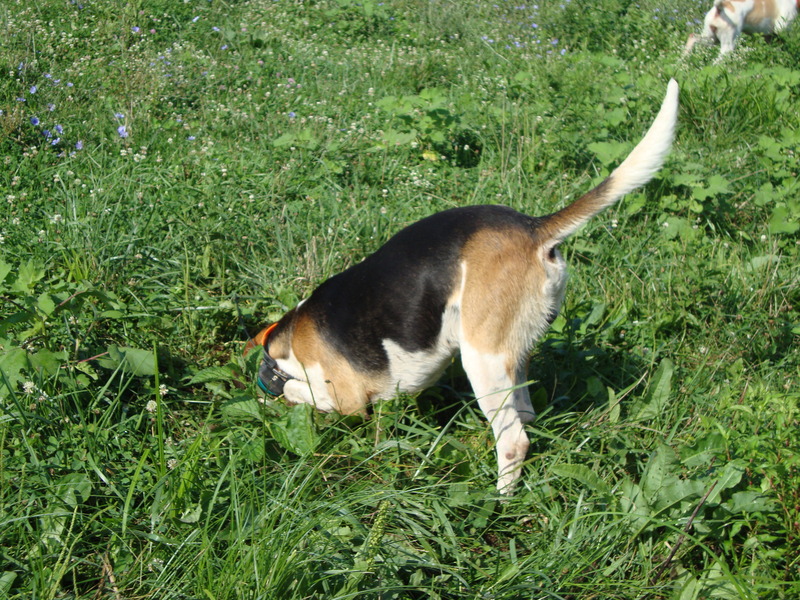 When hounds go away with a fox, never cut off the tail hounds from the main body. 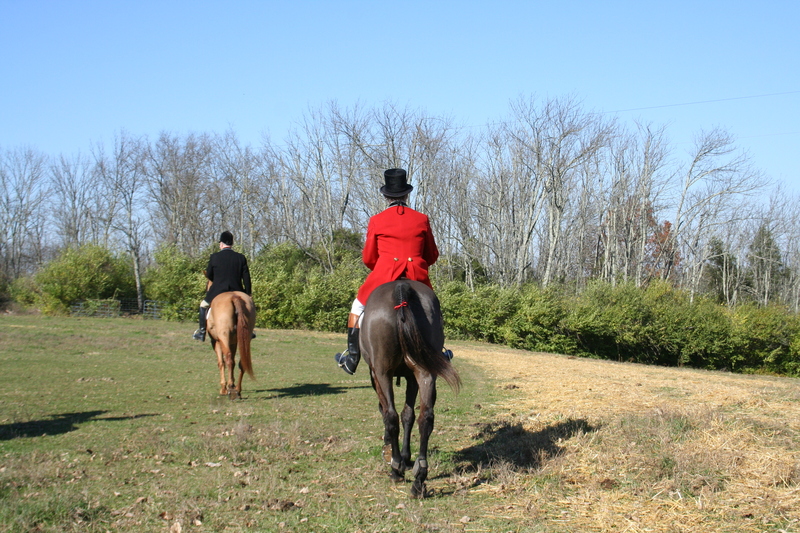 Do not press on hounds at any time, especially during the early stages of a hunt. 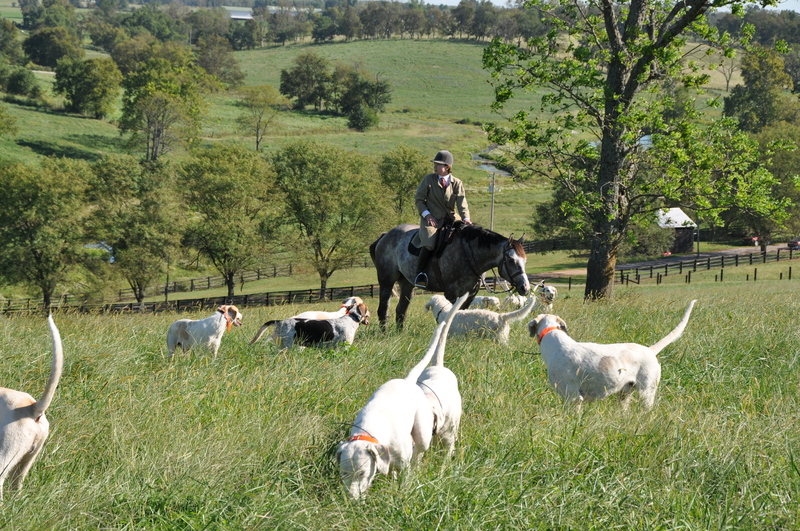 Never ride between the huntsman and his hounds. 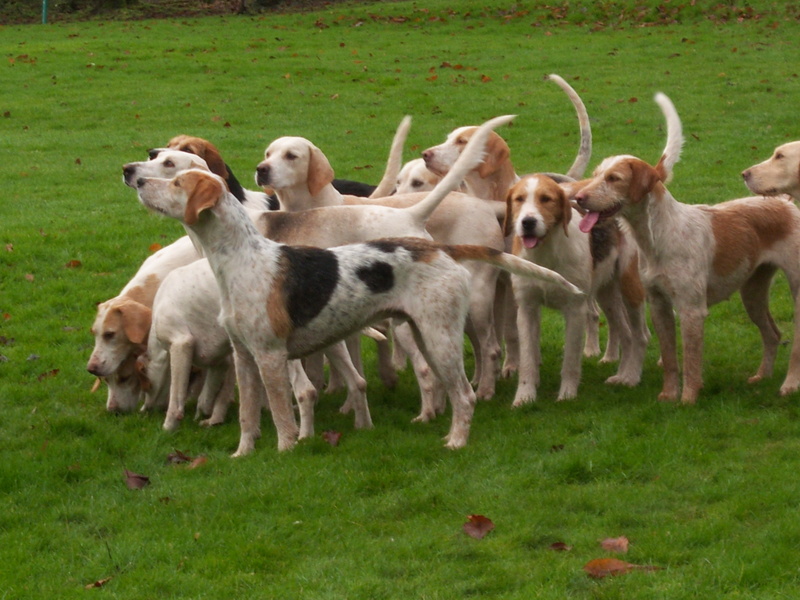 Stand still and keep quiet when hounds check. 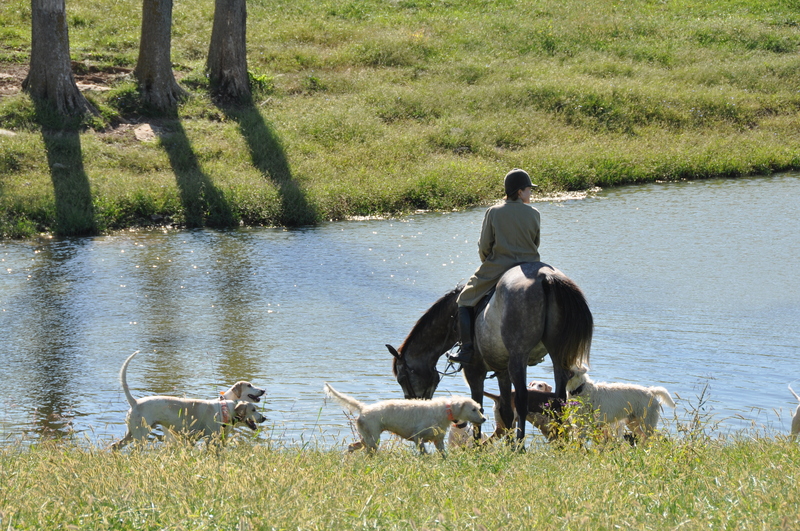 When you meet hounds always turn your horse’s head towards them. 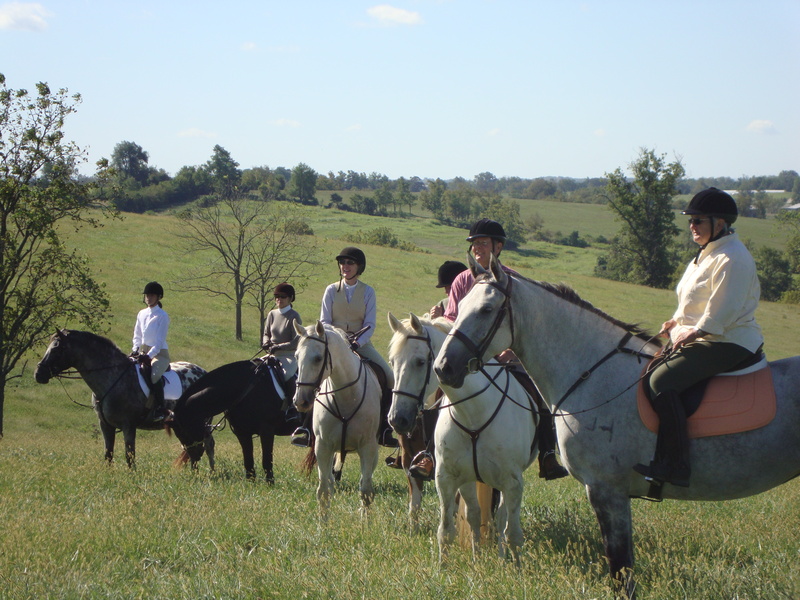 If your horse kicks, put a red ribbon on its tail, but do not trust to that alone to keep you out of trouble. Learn to open and catch gates. If someone dismounts to open a gate, no one must go beyond him until he is on his horse again. 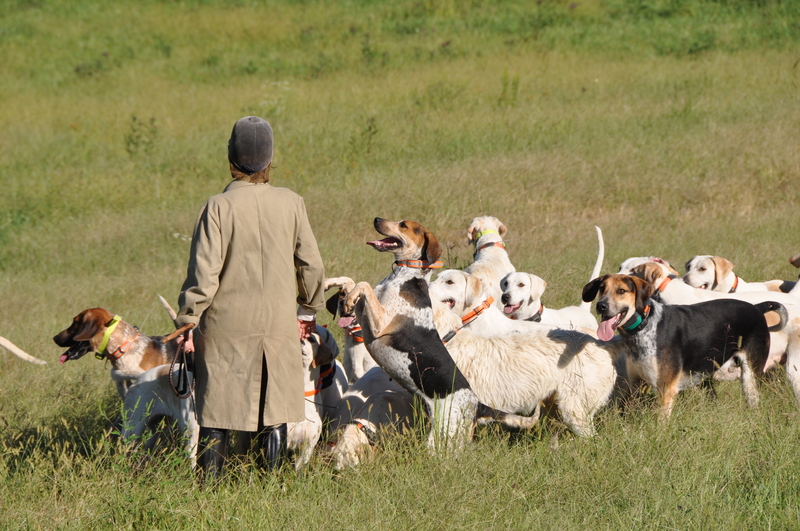 Concentration is essential if you want to keep with hounds. A sound take-off is the first essential when selecting your place at a fence. A black, strong-looking fence is much safer than a weak, straggly one. On that note, we’ll leave you for now, with good wishes for your preparations for the new season! 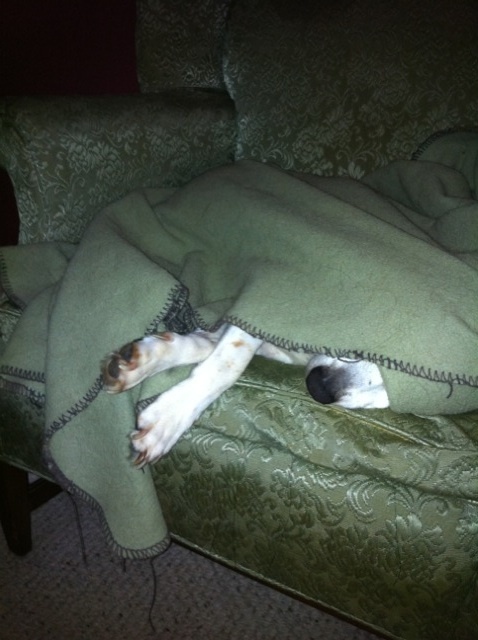 Seek and ye shall find the hound blog. Whether you intended to or not. Just for fun, I thought I’d publish a post of the goofy searches people have made in the last six months that have brought them, via their favorite search engines, to the hound blog. These appear on the blog’s administrative page, and I am not making them up. 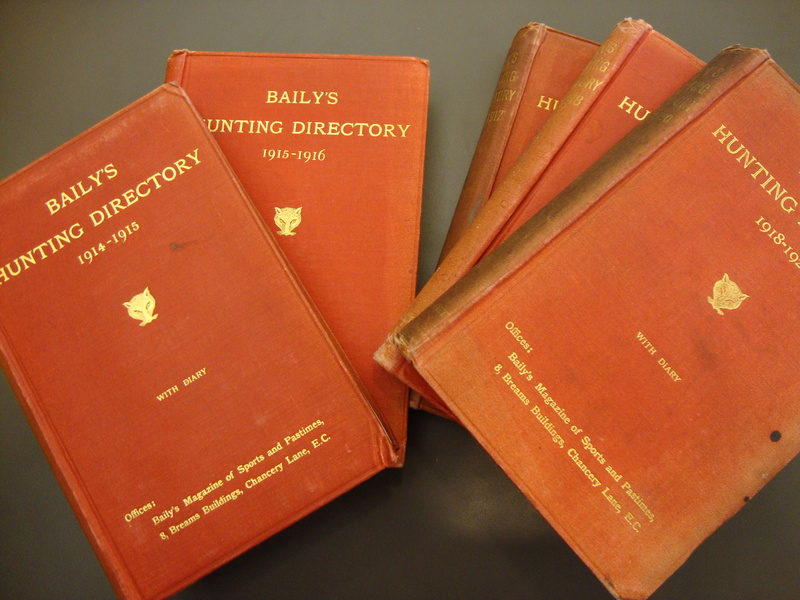 Some appear to be simple misspellings, like “hounting sadels,” but I have to say I kind of like the word “hounting.” I think that should be the technical term for what people do when they ride to hunt, rather than hunt to ride. Or maybe it already is the technical term for what a ghost pack does: hounting. Some search terms are far more alarming, and others are baffling. Here is a collection from the last few months. I guess it’s nice to know we have visitors from everywhere. And I do mean everywhere. The comments in parentheses are the houndbloggers’ notations! 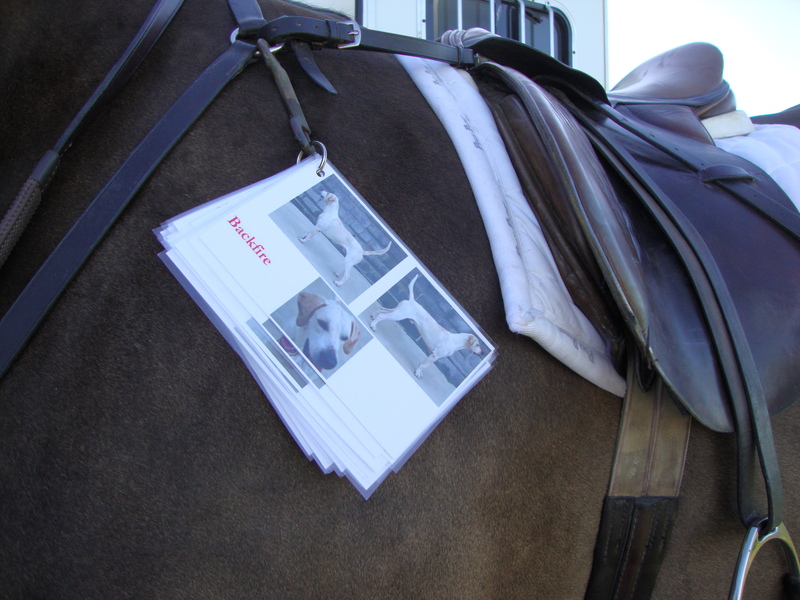 One example of a houndblogger torture machine: the Dressage Saddle. All we can say is, we hope these people enjoyed the hound blog once they got here. Perhaps they even spotted the Iroquois hunk! THE houndbloggers don’t watch a lot of television, but the other night we stumbled upon a documentary we thought we’d pass along. It’s called Through a Dog’s Eyes. 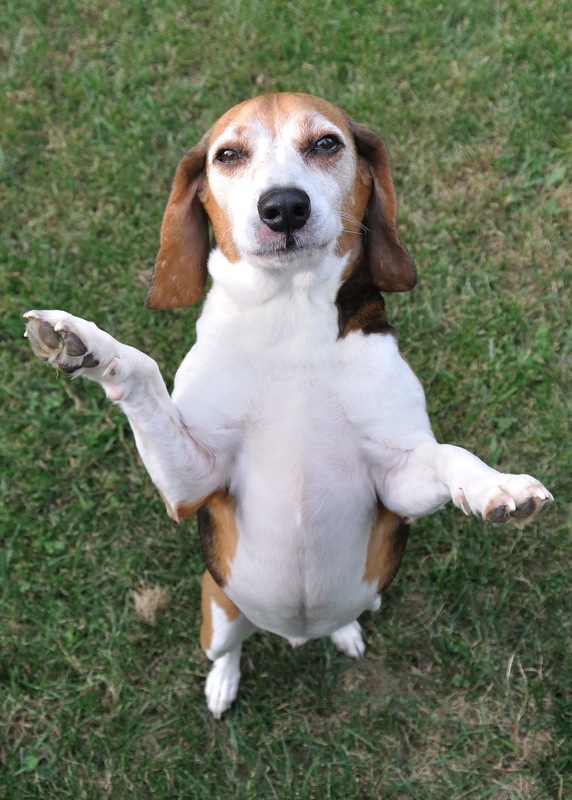 In basic terms, it’s about a program called Canine Assistants that matches services dogs with people who need them. The documentary shows Canine Assistants founder Jennifer Arnold as she and her team raise and train puppies into competent service dogs, and then match dog and human, then help the pair train together. 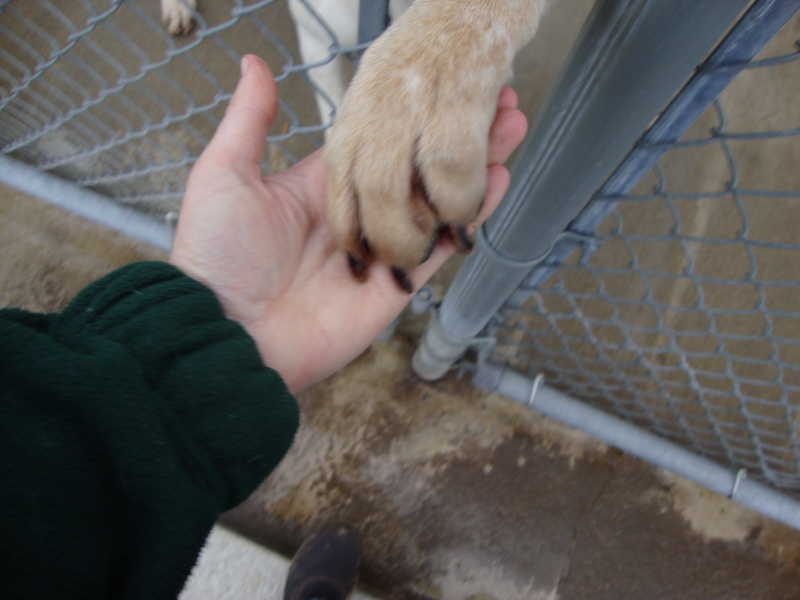 The canine-human partnership can be mutually fulfilling. We’re pretty sure a lot of huntsmen would agree with that! 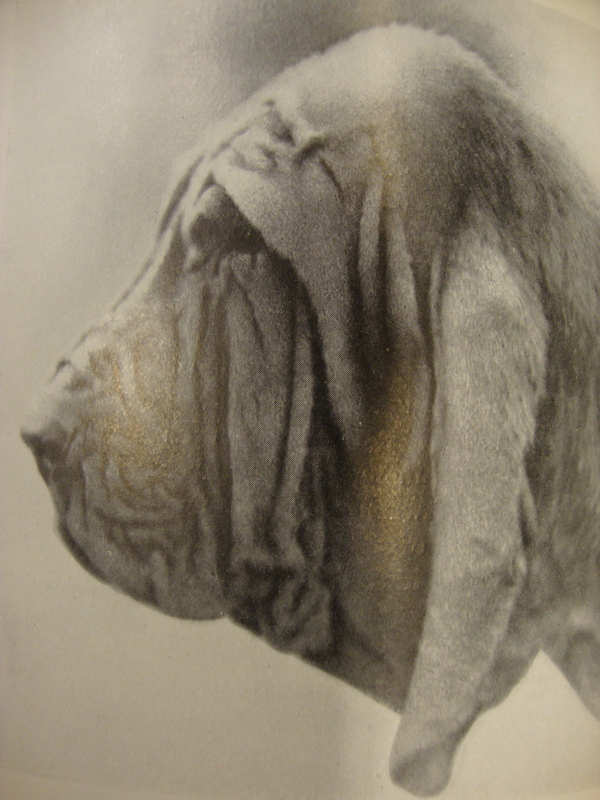 Most of all, Through a Dog’s Eyes provides another interesting view into the canine-human relationship and how surprisingly rich that relationship and its language can be. 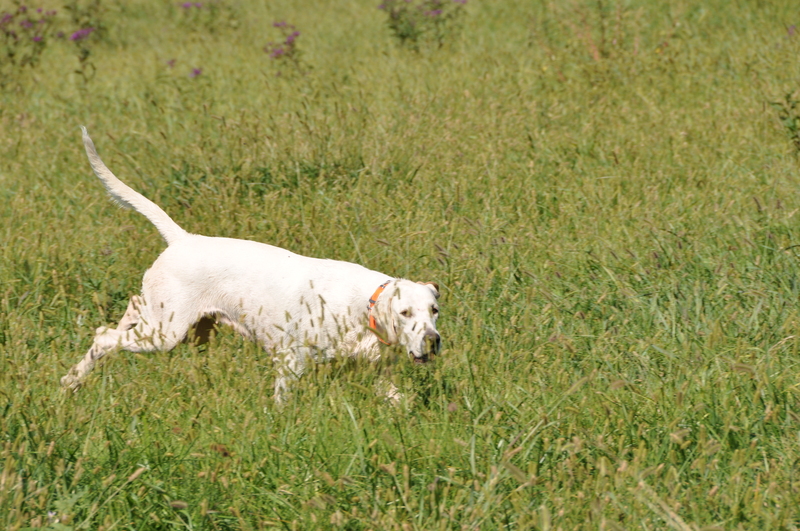 The golden thread clearly is not limited to packs working in the hunt field, but also can connect individual dogs and their owners. There’s some fascinating research about that bond and how dogs learn from people, and that’s covered in this film, too. To watch the documentary for free online, click here. 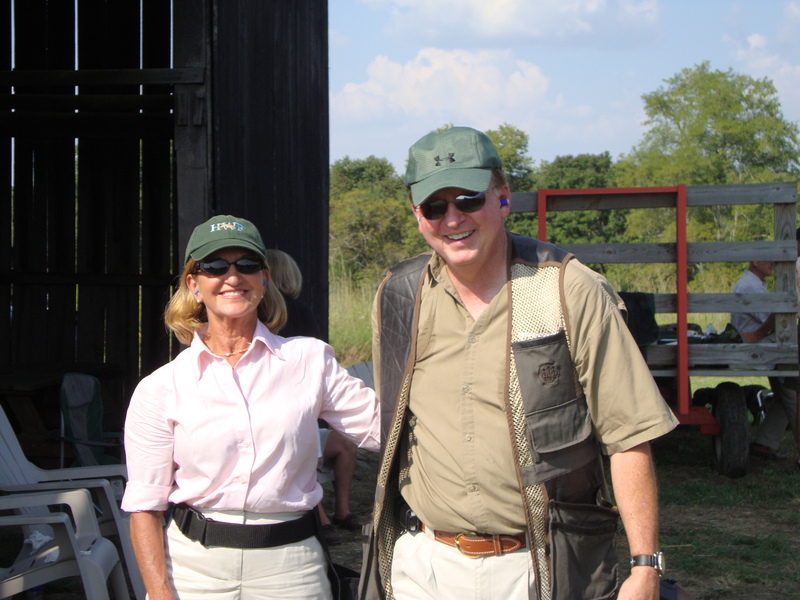 Thanks to all of you who bought the Sporting Clays Afternoon and Picnic at the 2010 Hound Welfare Fund auction! 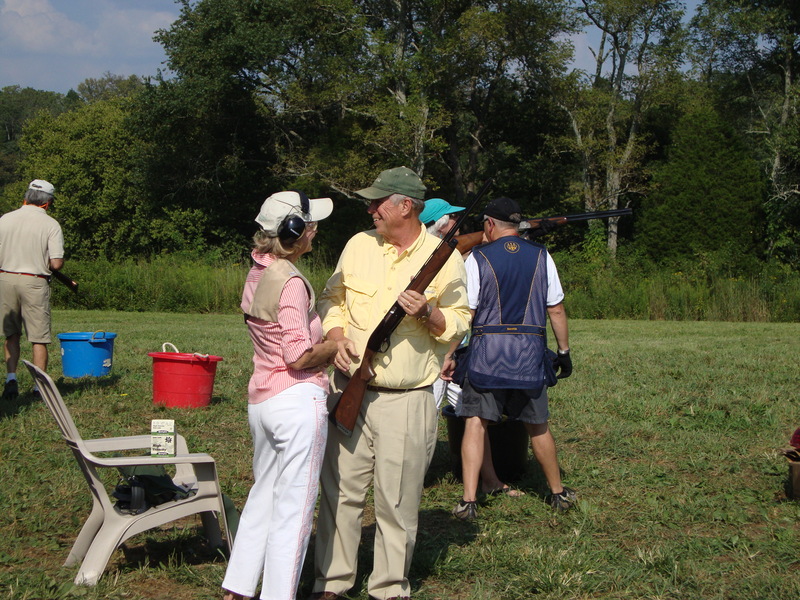 IT looks like Sunday’s Sporting Clays Afternoon and Picnic hit the target for these happy participants. 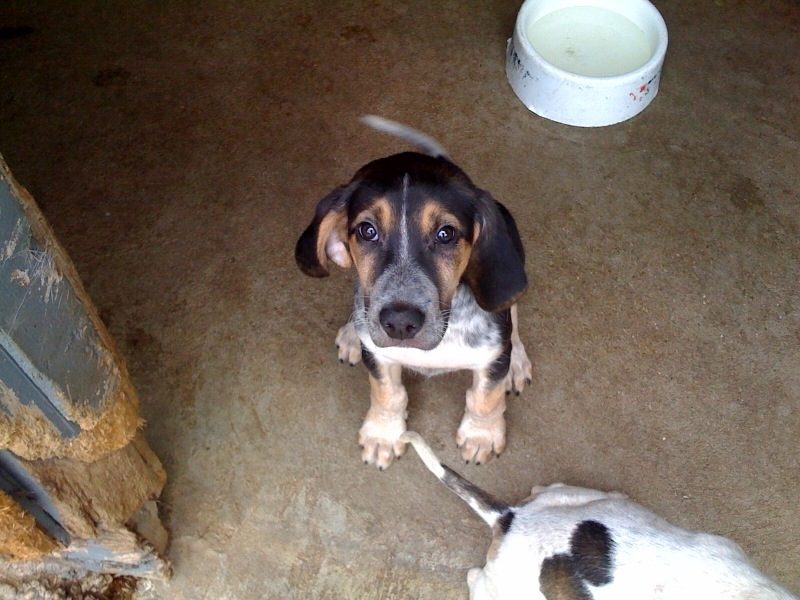 The group won the package at the 2010 Hound Welfare Fund benefit auction back in March, and their winning bid went straight to the Iroquois retired hounds. Thank you! 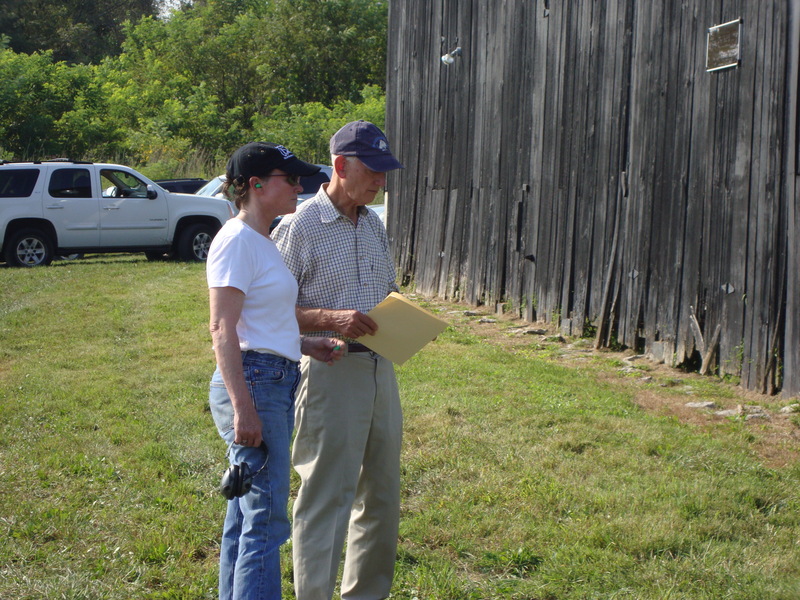 Thanks also to Tommy Dulin and Andre Pater for offering their good coaching services and to hosts Jerry and Susan Miller, who held the event on their farm. 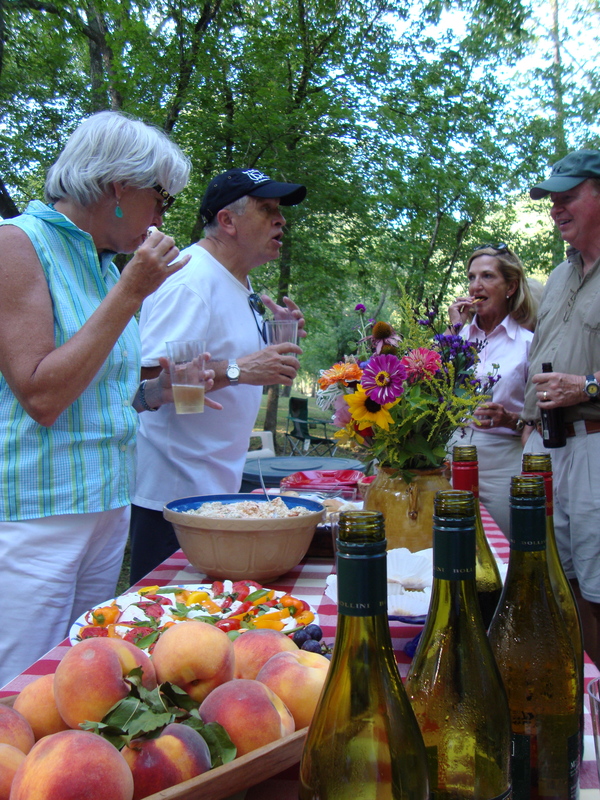 After several hours of shooting clay pigeons, the party moved creekside, where Susan Miller laid on a sumptuous spread at one of the prettiest spots in the hunt country, on the shaded banks of Boone Creek. 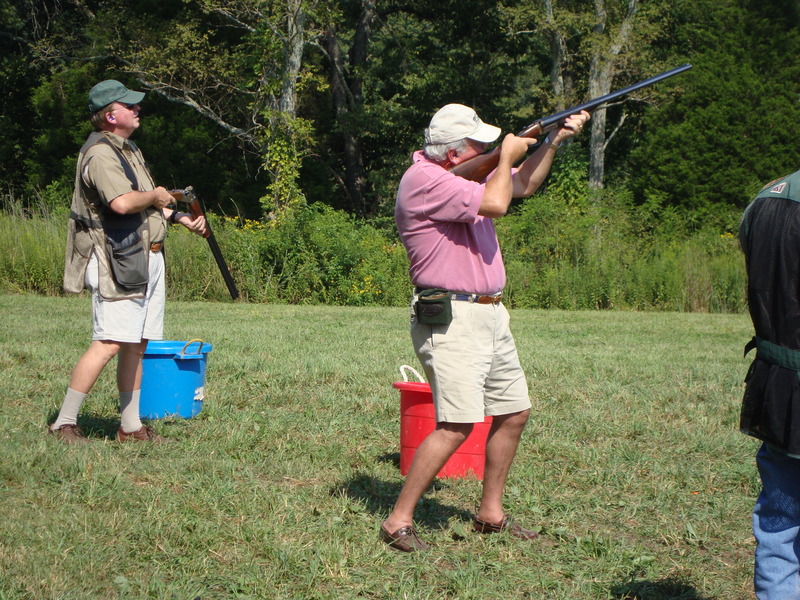 The participants also will receive a DVD highlighting their shooting exploits. 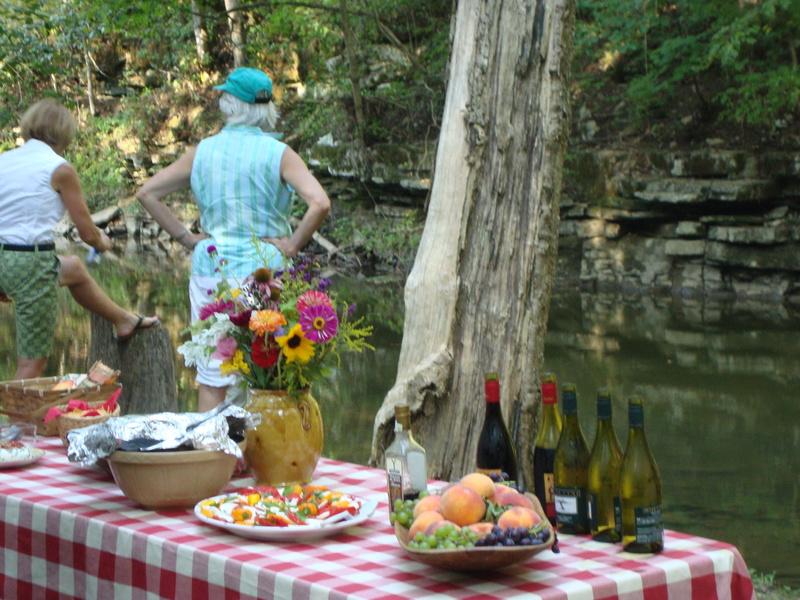 A lavish creekside picnic followed the afternoon's shooting. 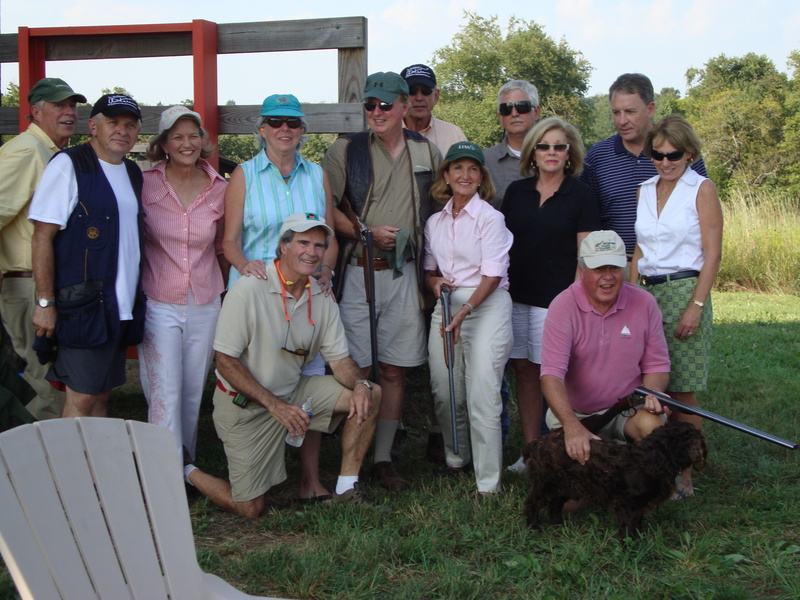 The company was excellent, the conversation great, the food and wine delicious–and it all benefitted the hounds. Thanks again to everyone for making the day such fun! Here are a few highlights from the day, first in video and then in some photos. 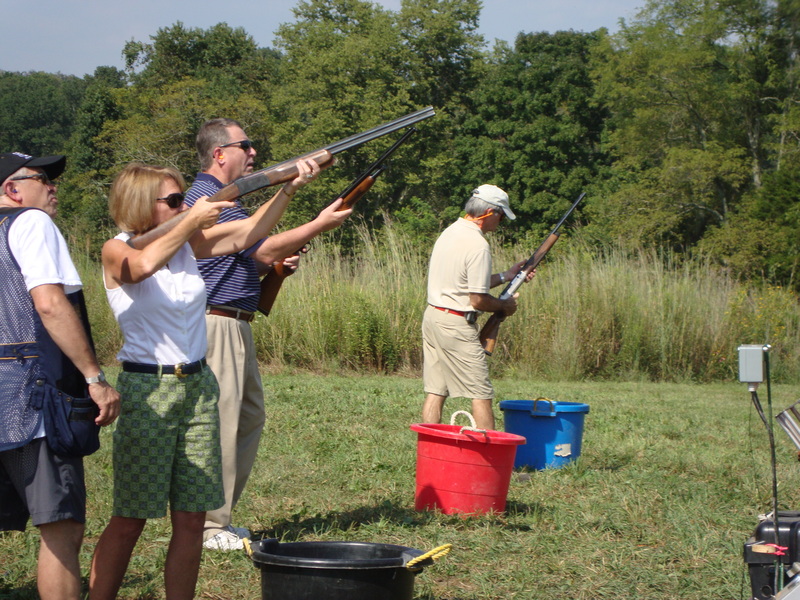 If you missed out of the Sporting Clays afternoon this year, keep your eyes open for the 2011 HWF benefit auction program and come back to bid again!